The basket bag trend. My gosh, did I think I was never ever ever going to carry one of those impractical straw things on my arm. But here I am, carrying one of those impractical straw things on my arm. And loving it to boot! 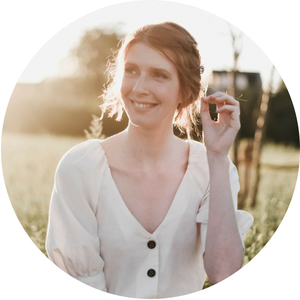 Just like I have a favorite store for clothes (J.Crew alllll the way), I also have a favorite store for house-bits-i-don’t-really-need, Dille & Kamille. 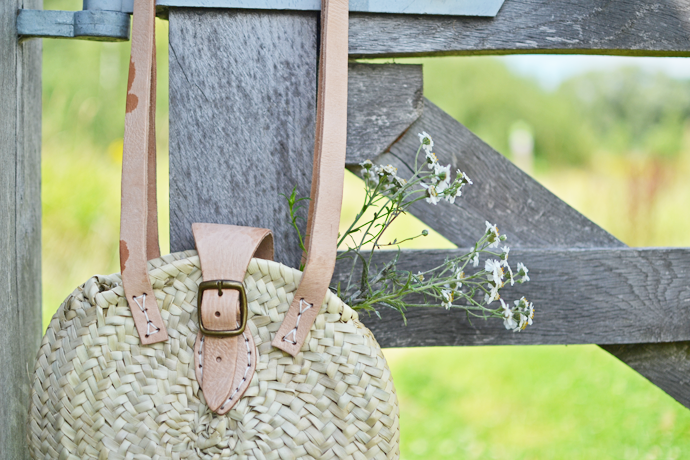 Everything they sell is well-made, pure and pretty and when they came out with new straw bags and totes for the summer season I was immediately sold on this small shoulder bag made of braided palm leaves. Do not let its good looks fool you. It is just as impractical as you’d expect a straw bag to be. Stiff, prickly and keys tend to get stuck in there and pull the braids loose. At the same time it gives every summer outfit that perfect holiday vibe that I was looking for. To help with the problem of my keys and such I put a small drawstring dust bag inside et voilà, no more fear of keys falling out! Going to keep it short and simple here today. I’m having a headache which annoys me because I never have headaches and I just spent a solid 30 minutes browsing Pinterest for blog post ideas. Now if that is not a sign that this post is not going to work out, I don’t know what is haha. I hope you guys are doing well today and I’m off to bed in hopes that I feel better tomorrow. 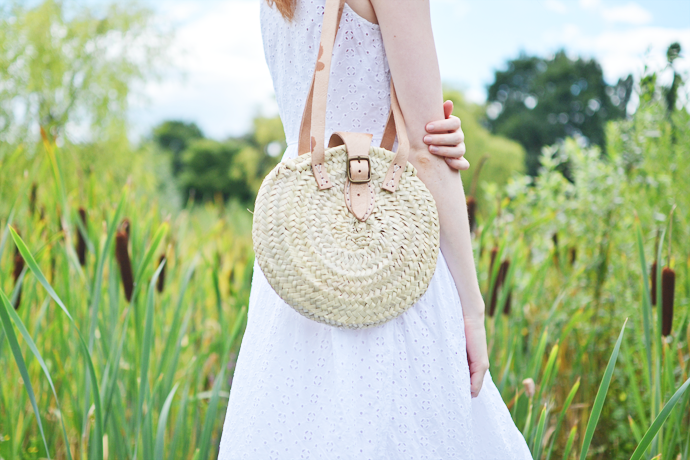 The straw bag is such a nice touch with your little white dress! I had a big straw tote I took to uni – ahead of my time! Sadly, it didn’t hold up to the use well. Luckily it was lined so I didn’t have the struggles using it you’ve had with yours – a dust bag inside is a clever solution! I’m really wondering if there are any pics of me with my straw bag (or bags, as usual I had to have a set…). Hope you felt better after your rest and your headache went away!